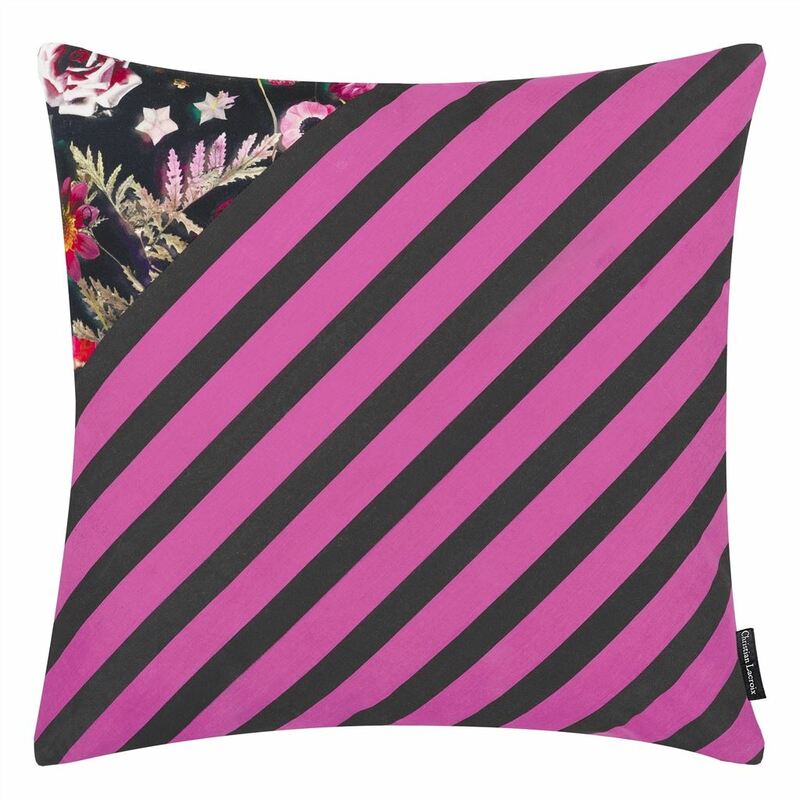 Almost life-like photographic flowers tinted with bright vibrant colour are combined with a diagonal patchwork stripe in this stylish floral cushion. 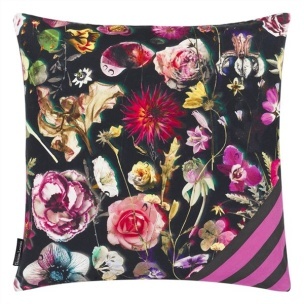 Maison Christian Lacroix has set these bright flowers on a deep black ground for optimum effect. 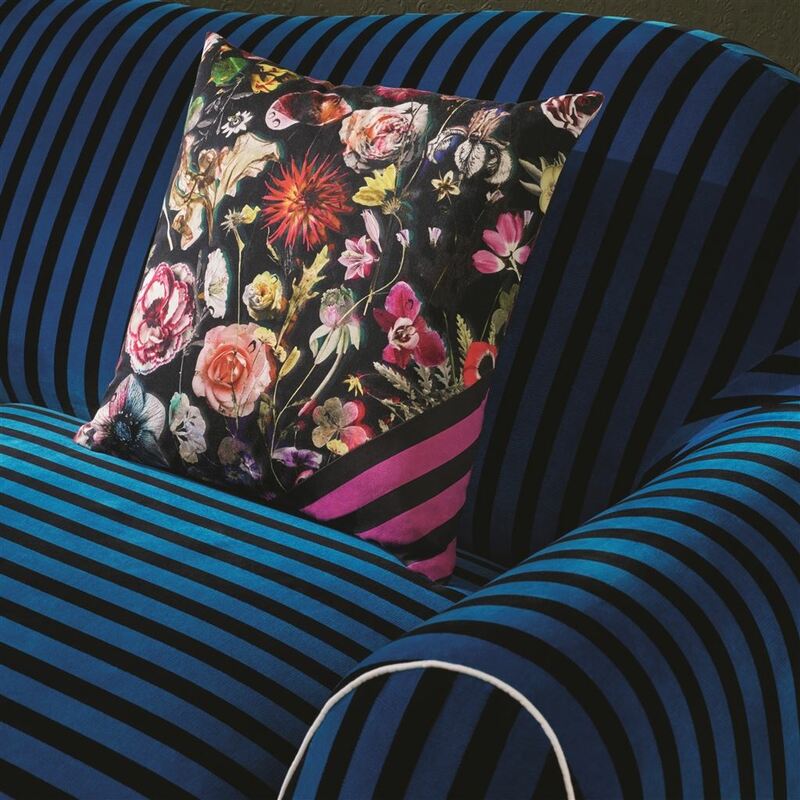 The design continues in patchwork form to the reverse.